Tuesday marks the start of ESPN’s 2017 V Week. During the fundraiser for cancer research, The Undefeated will tell stories about early detection, clinical trial studies and research in minority communities. ESPN hopes to raise funds and awareness about the important cause championed by our friend, coach Jim Valvano. One hundred percent of all cash donations go directly to cancer research. Donate here today. “Don’t give up … don’t ever give up.” These words were a staple for North Carolina State’s legendary basketball coach and ESPN commentator Jimmy Valvano. 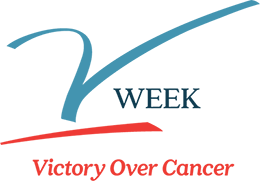 The V Foundation, formed in 1993 by ESPN and Valvano, raises money for cancer research. A huge part of the foundation’s mission is to build more opportunities for cancer research in minority communities. There are more than 15.5 million cancer survivors today. Survival rates for many cancers continue to increase. New technology and a better understanding of genetics have allowed doctors to create individualized therapies, leading to more success. But according to the American Cancer Society, African-Americans have the highest death rate and shortest survival of any racial/ethnic group in the U.S. for most cancers. According to the U.S. Centers for Disease Control and Prevention’s most recent data, black men have the highest cancer incidence rates, and black men and women both have a higher cancer death rate than their white counterparts. Cancer is the leading cause of death among Hispanics, accounting for 21 percent of deaths overall and 15 percent of deaths in children. To combat the problem, the V Foundation, through the Stuart Scott Memorial Cancer Research Fund, is allocating dollars to minority researchers to fight cancer in minority communities. The funds will help continue Scott’s fight against cancer and assist some of the most vulnerable and disproportionately affected communities battling the disease. The Stuart Scott Memorial Cancer Research Fund was formed by the V Foundation and Scott’s family. Near the end of his life, Scott participated in a clinical trial. He was a passionate voice for improving outcomes for African-Americans and other minorities with cancer. The Scott Fund supports research designed to discover why some cancers are more aggressive and more fatal in African-Americans. Since its start, the V Foundation has granted more than $200 million nationwide and has become one of the premier supporters of cutting-edge research. Because of generous donors, the foundation has an endowment that covers administrative expenses so it can award 100 percent of all direct cash donations. The V Foundation is committed to raising another $200 million between 2013 and 2020. “Cancer is more than 100 individual diseases,” said Susan Braun, CEO of the V Foundation. “As research accelerates our knowledge, we recognize how varied each individual cancer is and how the same type of cancer can vary among different people. Many cancers pose more of a problem in different ethnic groups, and cancer overall affects diverse populations in complex ways. A dedicated friend of the V Foundation and a committed participant in the Jimmy V Celebrity Golf Classic and other foundation events, Scott helped raise funds and awareness for the V Foundation for more than 20 years. Scott was first diagnosed with cancer in 2007. From that moment, sports fans, his peers and athletes from around the world supported him in his battle. The V Foundation has a page on its website, www.jimmyv.org/stuartscott, for donations to the Stuart Scott Memorial Cancer Research Fund. ESPN made an initial $100,000 donation in his memory.